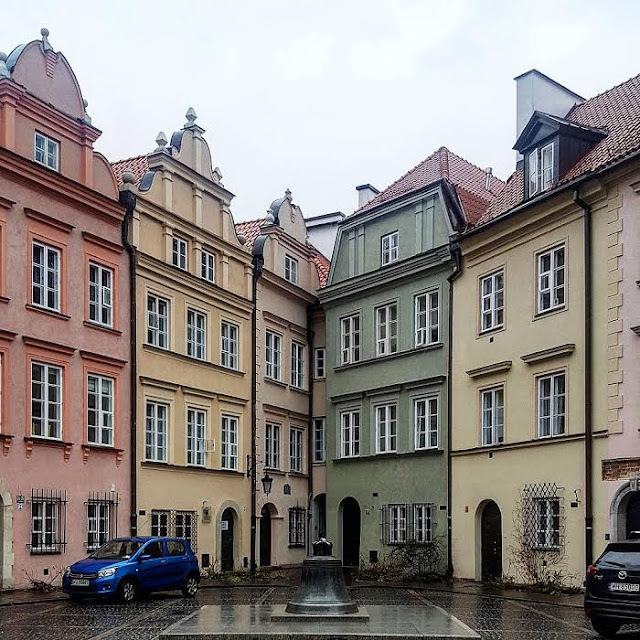 Travel has made a WELCOME return to Honeypot Blogs with a post about my recent trip to Warsaw. If you follow me on Instagram you will have seen a few post up there of the BEAUTIFUL architecture and you guys will know I love all of that. 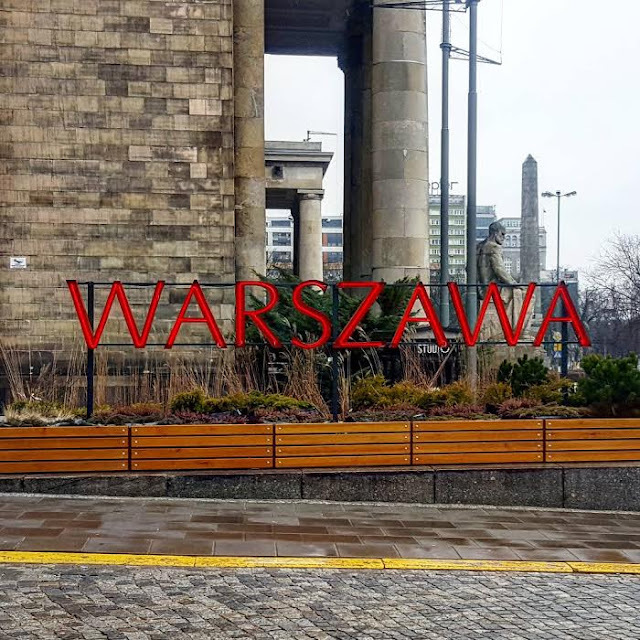 As you can see in the picture however the sky was somewhat moody so we definitely didn't have the best weather but we definitely made the most of it, so this post is more of a 5 things to do in Warsaw, if the weather is utter pants! 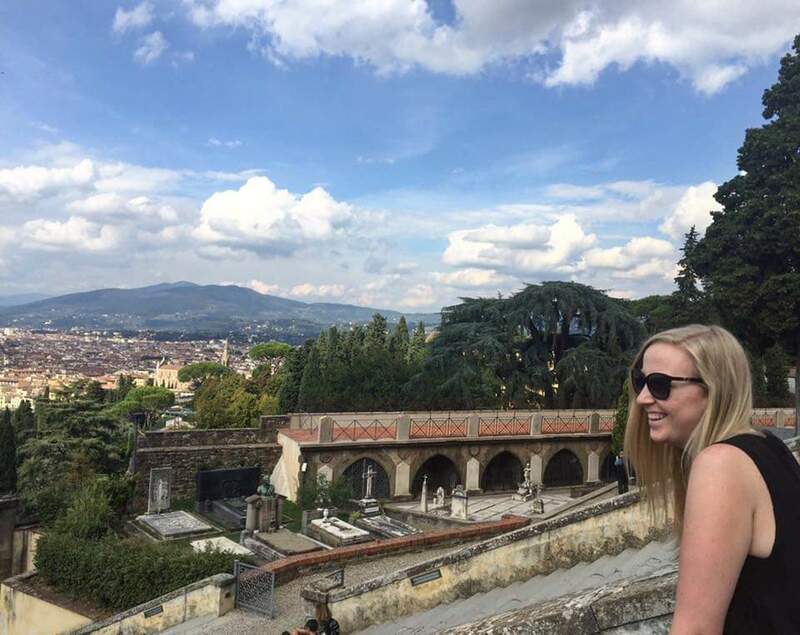 Let's face it, if you have heard of Poland or Warsaw you will know that the drinks are pretty cheap so why not enjoy that side of it and discover some wonderful bars. I would have to say Polyester Cafe was probably one of my faves and we only discovered it because the weather was so naff we had o duck in somewhere. It had a super chilled vibe, with some utter classic music playing. 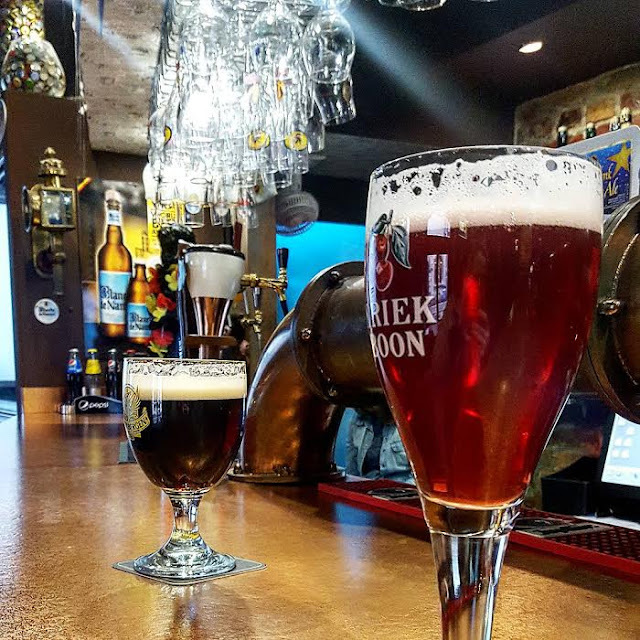 If you or the person you're with are into craft beers then Warsaw definitely has something for ya such as Same Krafty Vis-a-vis There is also a nice Belguim Beer place pictured above called Elephant if you fancy a little something different. There are literally tonnes of different restaurants in the Old Town and I was surprised at the amount of different cuisines available, I noticed there were a lot of Italian style restaurants which is always lovely. I would say if you are looking for something a little more rustic and traditional you should check out Celi Bar - wonderful hearty Polish meals! For started we had some Polish Dumplings that were filled with minced meat and I tell you want I bloody enjoyed those dumplings, I could have had another plate! For my main I had the Farmers Sausage platter which had 3, that's right THREE giant sausages with chips. Those sausages were bloody delicious I tell you! 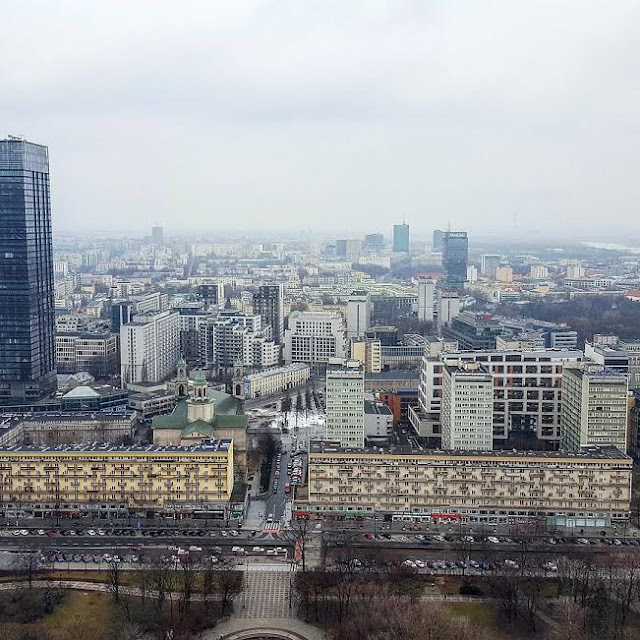 If you guys have been following my blog you'll know when I go away I like to explore and go up tall buildings to see the city from a different angle and Warsaw was no different. We went up the Palace of Culture and Science, which in itself is a really stunning building standing out from the other skyscrapers.I think one of the things that really surprised me about Warsaw was just how modern the skyline really is there and seeing it from this angle was perfect! It was rather windy but thankfully there is a little cafe at the top where you can get an indulgent hot chocolate and a little cake before taking the lift back down. 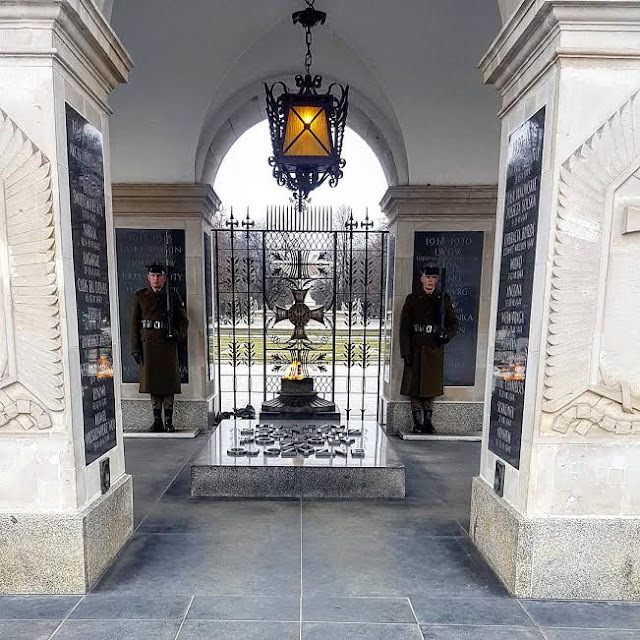 Warsaw is drenched with History especially from the Second World War and I would advise you either have a little read up or even watch the film The Pianist to just give you a snapshot into what it was like for the Polish Jews back then. There are a lot of plaques and monuments around so just take a moment to stop and read them. There is a Jewish Uprising Museum which I would recommend if you like museums but I would suggest buying on of those walkie talkie things that guides you through each part because there is a lot to take in and there are a lot of people! Ok this one is a bit of a sore subject for me but basically I lost my cashmere scarf in an Irish bar a matter of hours of landing in Poland and because the weather was SO awful it meant I had to buy a new one, which of course the shopper in me loved but the sentimental girl was still weeping! Anyway, turns out Warsaw has a bloody huge shopping centre plus lots of little areas that have all the high street favourites such as Zara, H&M and even Marks and Spencer (London). Also IF you wanted a Starbucks or Costa Coffee and I can confirm there is one on every damn corner, which I didn't indulge in but if you wanted to you could. Have you been to Poland before?